Hitachi-GE’s advanced boiling water reactor has moved a step closer to UK construction, after passing an important regulatory milestone. The government’s Office for Nuclear Regulation and Environment Agency have completed the initial high-level assessment of the UK ABWR design, and are progressing to the third step of the generic design assessment (GDA). 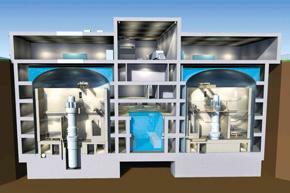 The GDA is intended to support the construction of a number of new nuclear power stations by approving a standard reactor design which can be built in different locations by different developers. Horizon Nuclear Power, which was acquired by Hitachi in late 2012, is proposing to build two or three UK ABWRs at Wylfa, Anglesey, and Oldbury, Gloucestershire. ABWRs have already been commissioned at four sites in Japan. The Office for Nuclear Regulation (ONR) noted that its interactions with Hitachi-GE had been positive throughout the assessment, and that the company had worked consistently hard to provide material that met regulatory expectations. ONR has highlighted some design modifications that will be required to enhance safety, but says this is a significant success so early in the process. “There is a considerable amount of work to be undertaken by Hitachi-GE going forward, requiring significant capacity and capability across all of the topic areas for Hitachi-GE,” ONR said in a statement. Detailed reports are available from the ONR website. Alan Raymant, chief operating officer of Horizon Nuclear Power, welcomed the progress made by Hitachi-GE. “Following the recent positive announcement on regulatory justification and with the launch of our first round of public consultation in September, it shows that we are well on track for first power generation in the first half of the 2020s,” he said. Horizon has previously said that it expects the first ABWR at Wylfa Newydd to be operational by 2025. Horizon says it will directly procure and manage a number of contracts with Tier 1 suppliers, which will in turn procure and manage all sub-contractors. The group has already signed strategic contracts with Amec, Atkins, Cavendish Nuclear and Jacobs Engineering Group for consultancy and technical design at Wylfa. The Nuclear Institute presents a one-day conference focusing on small modular reactors (SMRs), hosted by The University of Manchester. The event will bring together industry and academia and will concentrate on the UK’s potential involvement in the design and build of SMRs. Could the UK have a supporting role for SMRs built internationally? Will the UK build SMRs, and could it build the first? Sessions will focus on key issues including the design and operation of SMRs, the business case, the licensing regime and, in a panel led by Nuclear AMRC’s Mike Tynan, manufacturing and supply chain issues. There’ll also be a presentation of findings from the UK government’s feasibility study into SMRs. 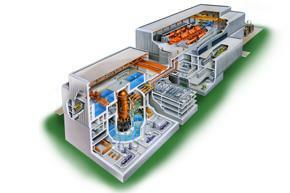 For more information and to register, visit the UK in SMR; SMR in UK page at the Nuclear Institute.